Here’s what you can do in Milan during the weekend from February 9 to 11. 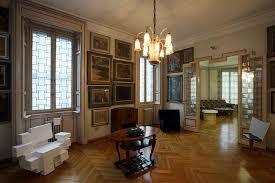 The Boschi Di Stefano House Museum is located in Via Jan 15, a few steps from Piazza Lima and Corso Buenos Aires. It was inhabited by the spouses Antonio Boschi and Marieda Di Stefano: here are exhibited about three hundred works, which are only a selection of the large collection of the couple, which has more than two thousand, and which tell the Italian art of the twentieth century. Among the masterpieces there are works by Sironi, Boccioni, De Chirico, Fontana, De Pisis, Morandi. To reach Casa Bioschi di Stefano in Milan, take the red Milan undergroud and get off at the Lima stop. Get free public transport thanks to MilanoCard! Click here. Back to Fieramilanocity the fair dedicated to the turiamo. An important meeting point for insiders and experts in the sector, but also for all the passionate travelers, to find out what to visit in 2018 and what are the news of tourism not to be missed. The historic event organized by Fiera Milano also this year provides for the entrance fee to the public on the first day, Sunday 11 February, from 9.30 to 18. To reach the Fair you can take the lilac Milan underground and get off at the Domodossola stop, just a few steps away you will find the entrance to Fieramilanocity. 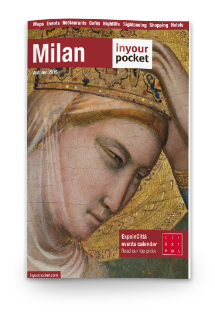 With MilanoCard you can get free public transport, click here for more information. Last weeks to visit the Bill Viola exhibition at the Crypt of San Sepolcro. The exhibition presents the works of the American artist who investigates the themes that Viola explores in his works such as birth, death, resurrection and human consciousness. A journey through the Crypt through the three video works brings the viewer closer to the understanding of the imperceptible perimeter between life and death, which shows the deep emotions of people and that portrays the transformation at the time of death. Thanks to MilanoCard you get a reduction on the entrance ticket, click here and find out more information.